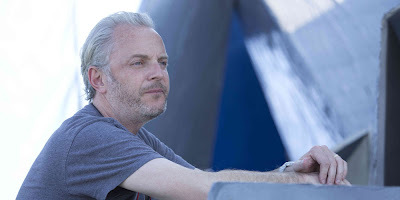 Francis Lawrence took part in a roundtable interview with Screenweek during the promotional tour stop for Catching Fire in Rome, Italy. He revealed some interesting Mockingjay details! "When you’re adapting a 400 page novel and you’re trying to translate it into a two hour movie, you have to choose what to lose. And I made those choices with Suzanne. The scene you’re referring to isn’t in the movie, because we didn’t find a way to insert that scene exactly like it was in the book, but we tried to convey the sense of that scene in other scenes in the movie." You’re shooting the final two movies for this series. How long will the shooting last? Is it demanding? Have you decided if it is going to be partially shot in IMAX or this time are you going to use 3D instead? "We’re shooting the next movies. We began to work onto them when we were working on the Catching Fire editing and I think the most complex part was when we were working on Mockingjay and Catching Fire at the same time. We had just finished work on Catching Fire and we were beginning to shoot Mockingjay part 1 and 2 and I felt pulled in different directions. I think we worked well on the editing, and on the music and visual effects. We've shot [Mockingjay] for 5 weeks, now, and we’re going to shoot for 25 weeks more. The nice thing is this is a big whole story cut in two parts, but I’m working on it like it is just one movie that we’re going to split at the end of the shooting. Another nice thing is we didn’t have the time to take a pause, there is this sense of continuity, and this energy. Everyone knows each other, we get along well. This time I chose to shoot with digital cameras, but no IMAX, because we have a lot of underground scenes and we have some technical impairment with lights and the equipment, and the digital camera's quality is so high we would have no problem in altering lights and colors. About 3D, we didn’t talk about it at all when we were shooting Catching Fire. We are talking about it for Mockingjay, but we aren’t sure about using it. We have contrasting opinions in thinking; either it is only another way we can give to people to watch the movie, or it is a way to transform it in an exhibition of violence, and we don’t want that at all, because the movie is all about the consequences the violence has. Otherwise, shooting in 3D isn’t to create a show about violence at all… we are still debating about it. We are not shooting in 3D." Read the full roundtable interview with Francis in their post.